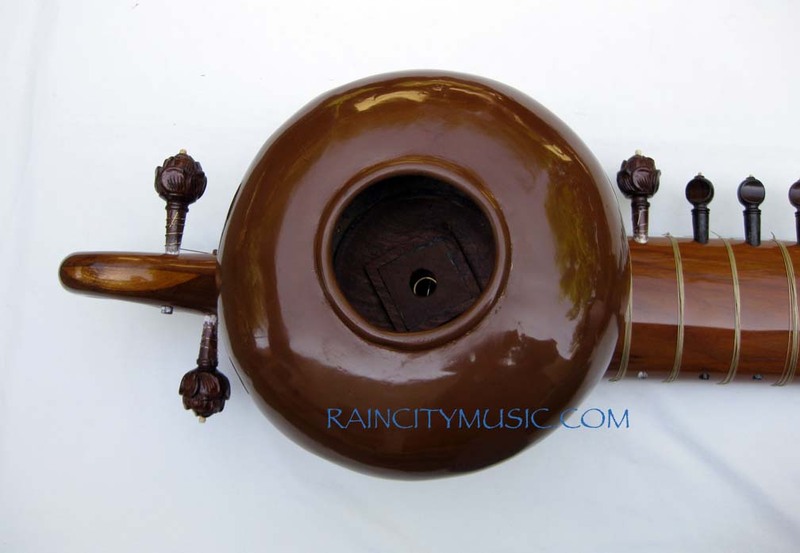 A brand new instrument still, originally commissioned in 1993 and sat in storage until a few years ago when it was completely overhauled and french polished. 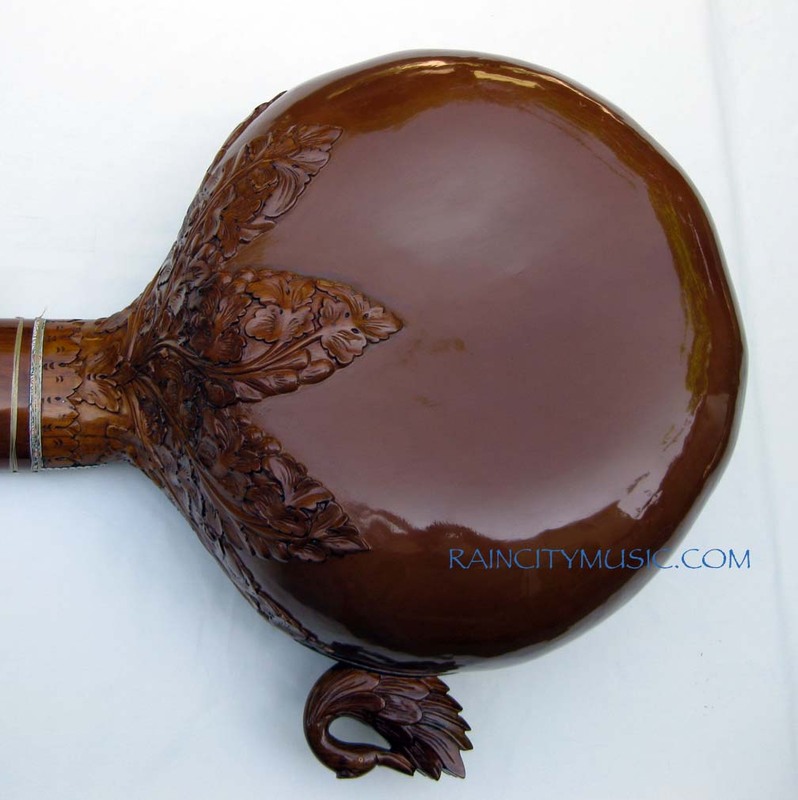 Has never been used. 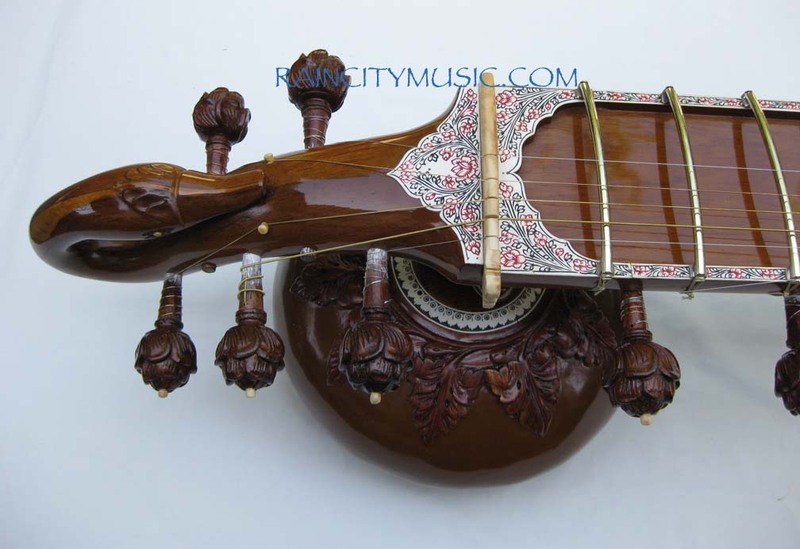 Built from 200 year old teak wood and has antler bridges and fittings. 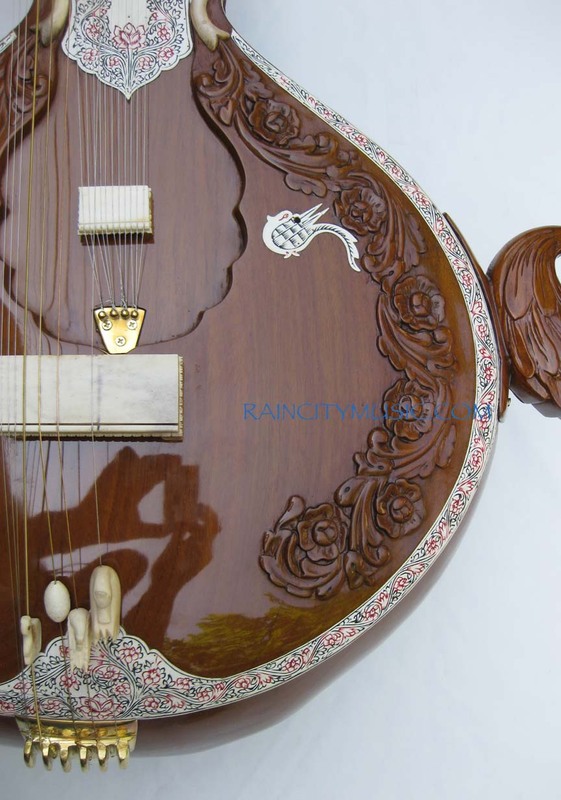 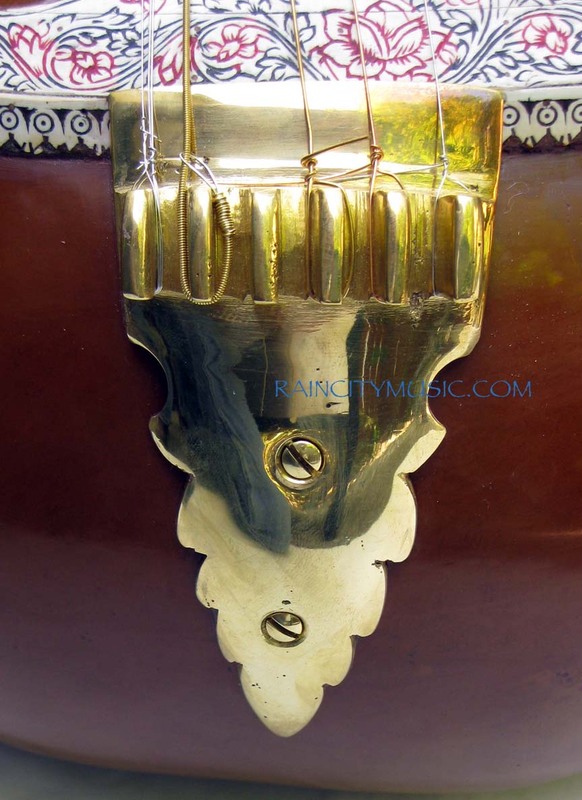 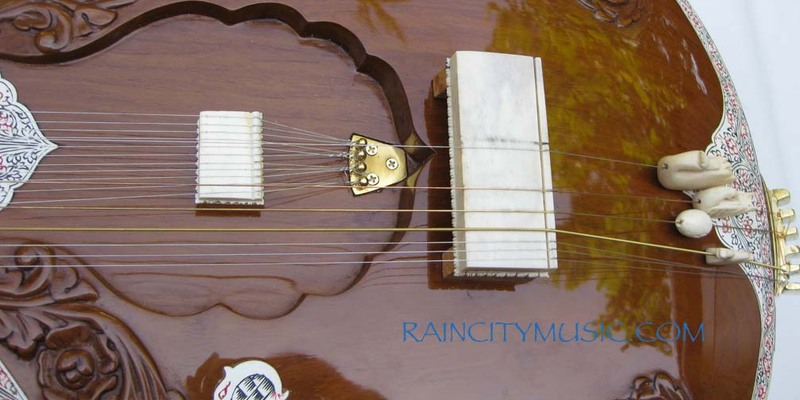 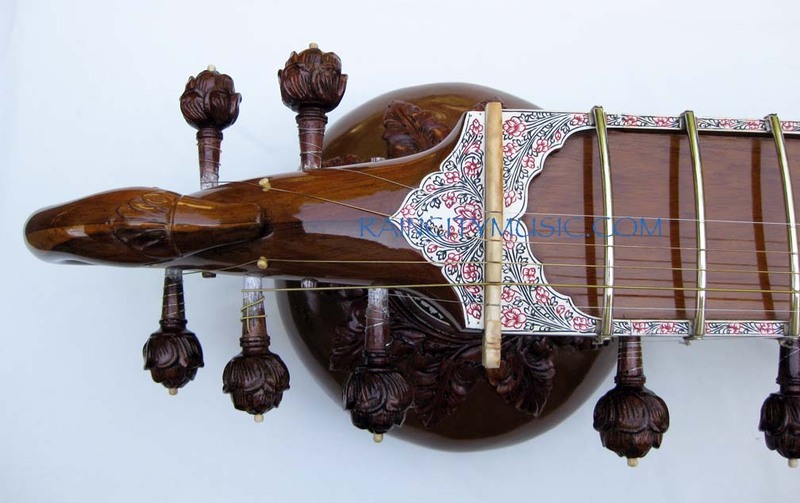 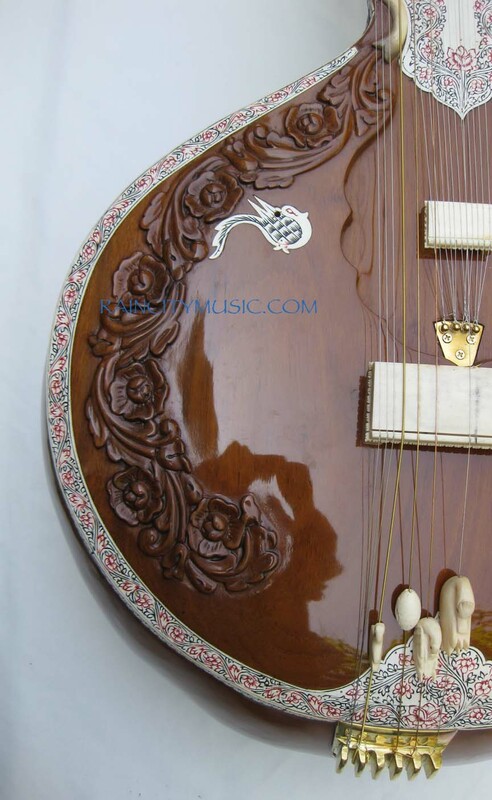 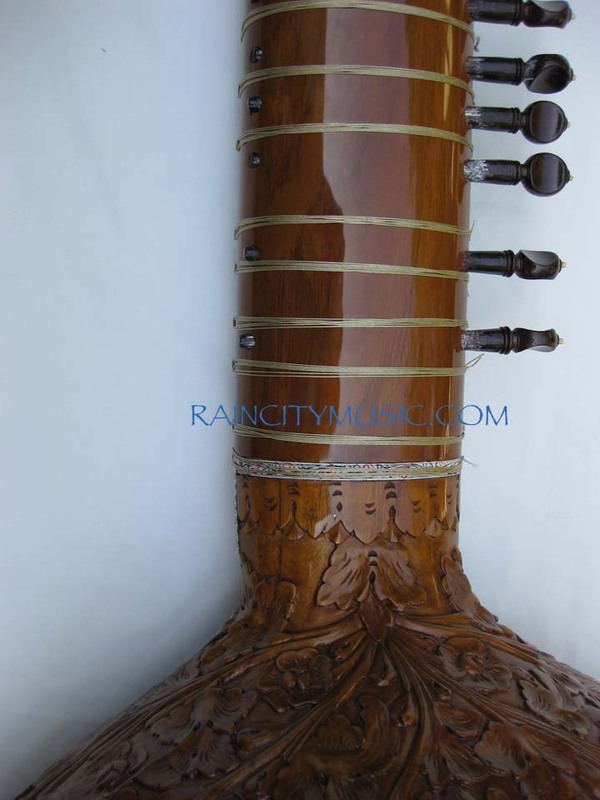 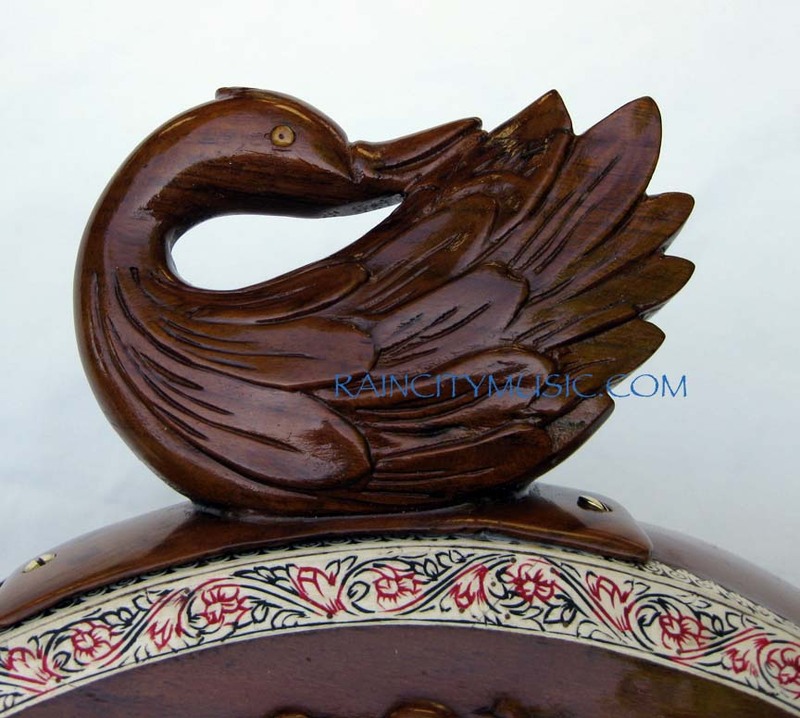 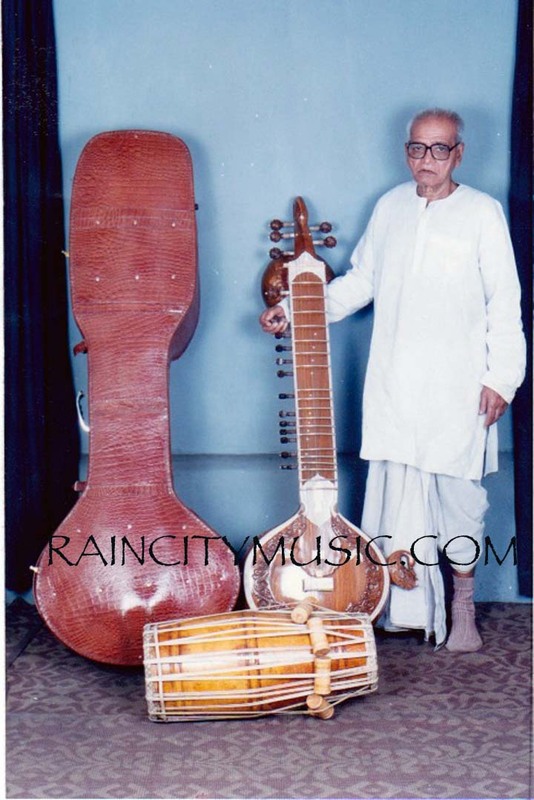 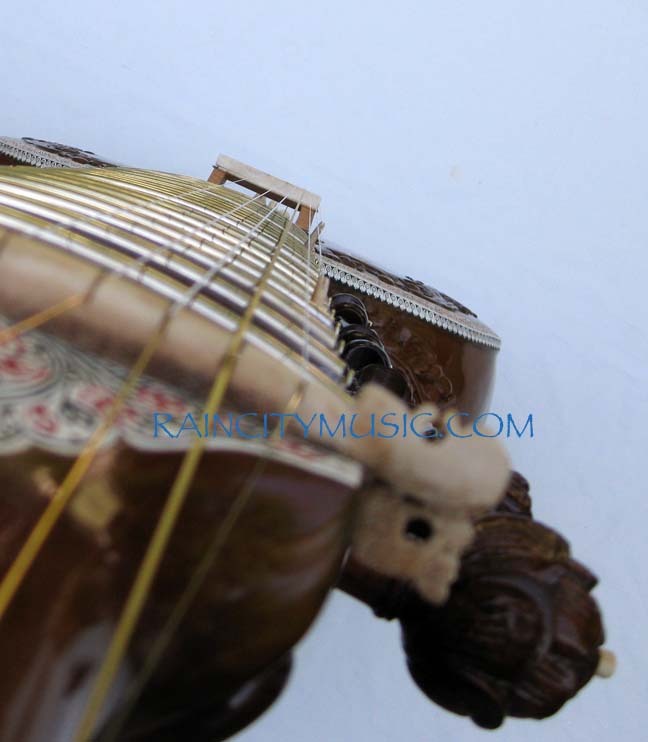 It is a large sized instrument similar to the style played by Annapurna Devi. 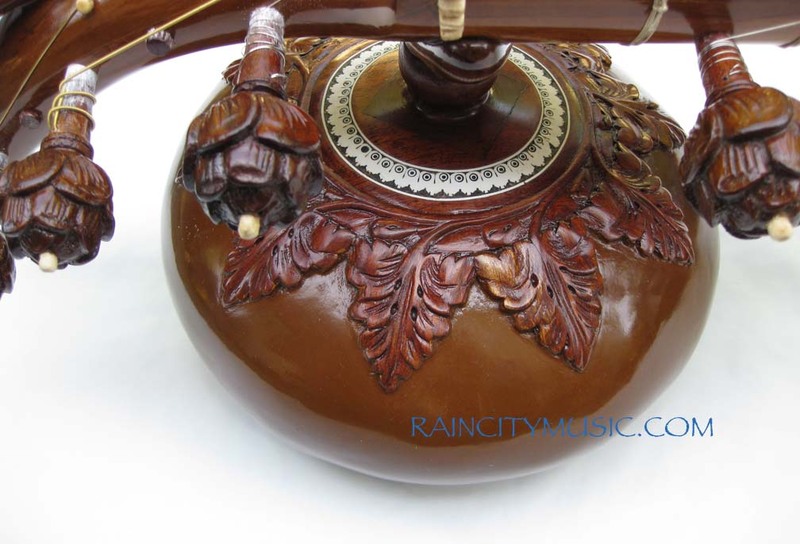 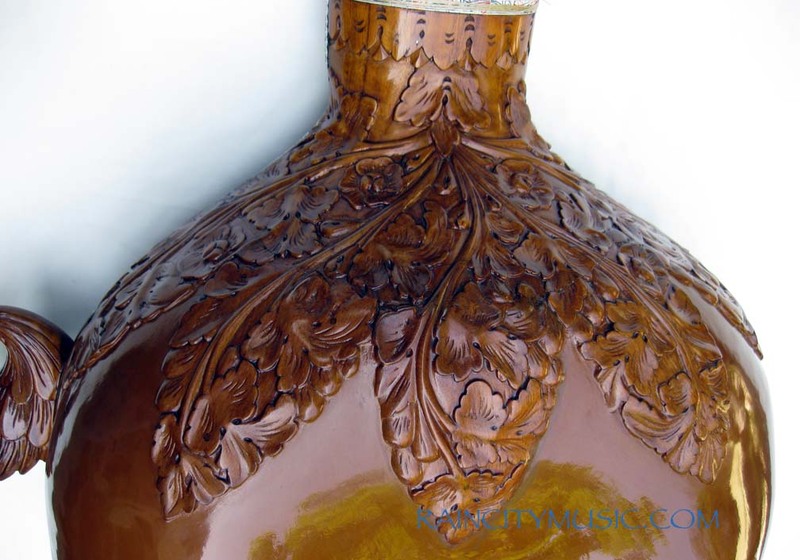 The work was done by an excellent luthier who spent over a year french polishing the instrument, no part was overlooked. 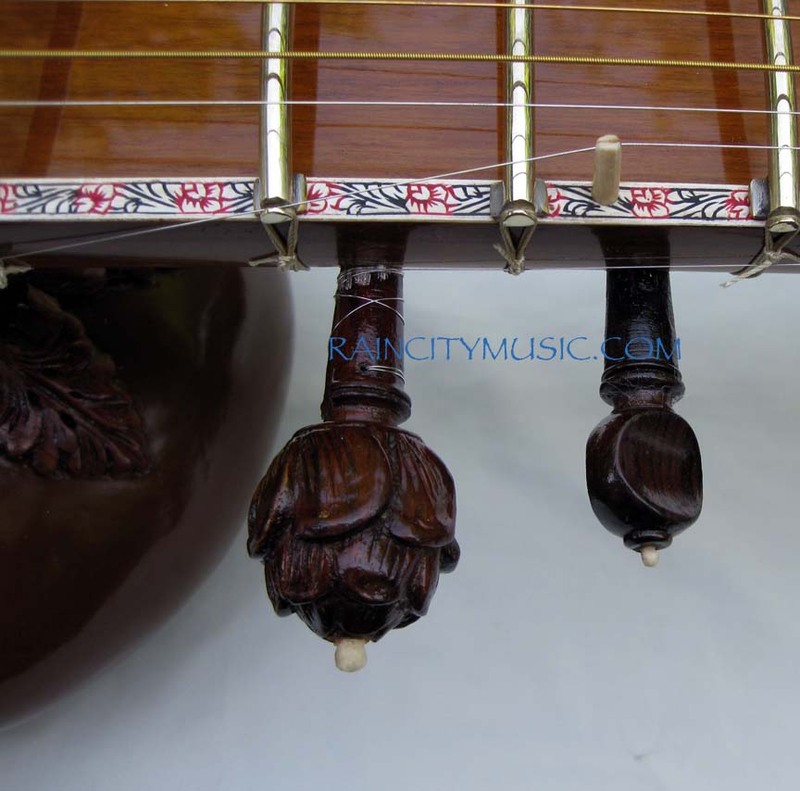 Additionally the pegs have been treated and fitted for slippage. 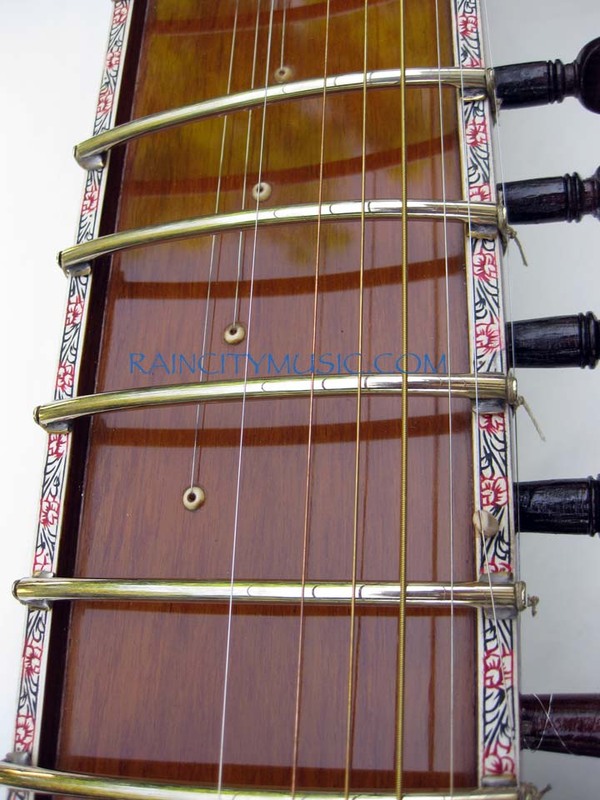 The frets sit nicely on added pedestals and it has a new set of Pyramid strings on it. 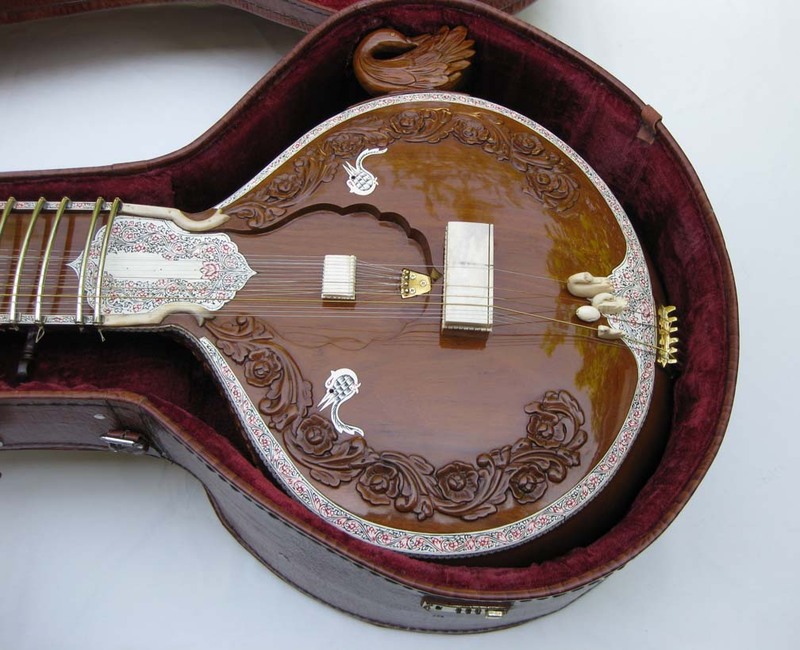 The case is rexine, the entire instrument does fit inside it. 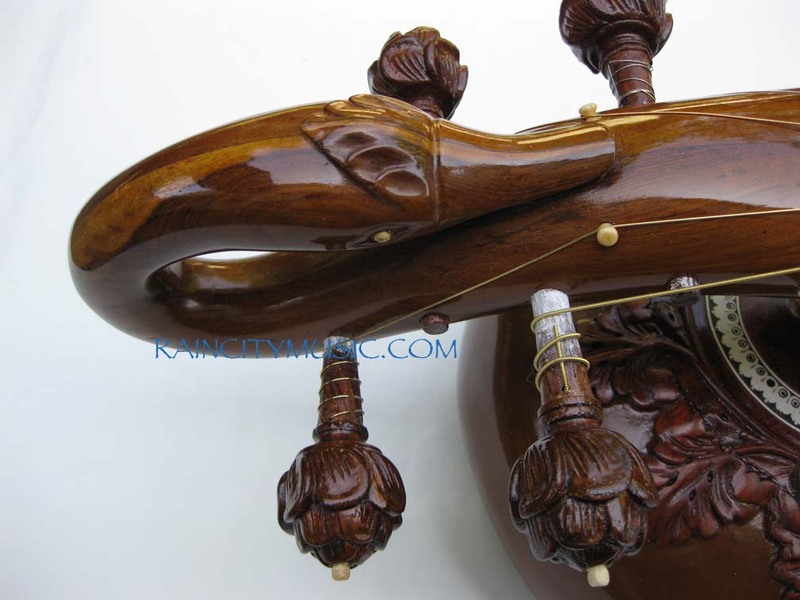 The carved footrest is permanently attached. 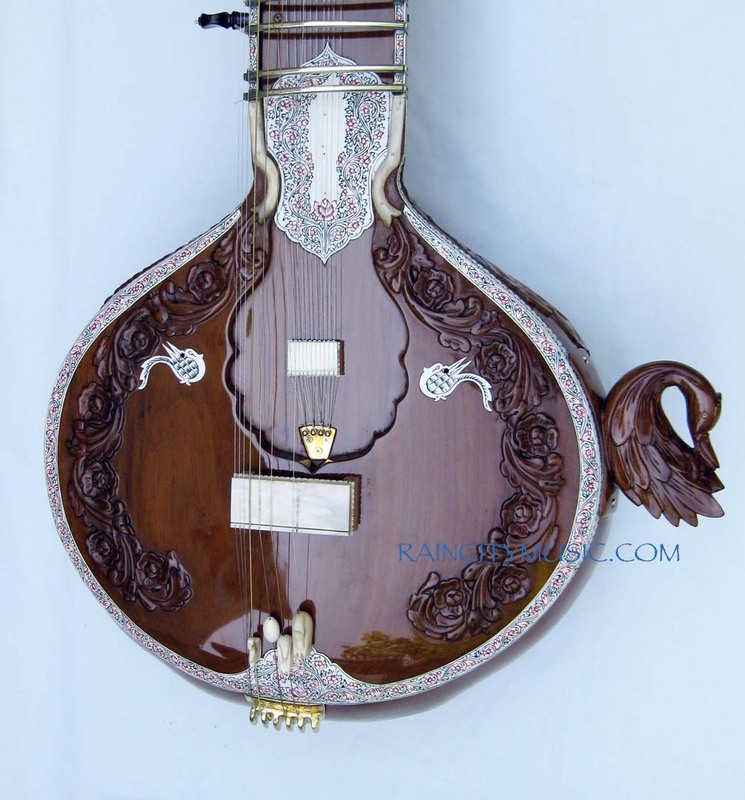 This instrument may be picked up only due to its size and uniqueness, please email us to inquire about price and details. 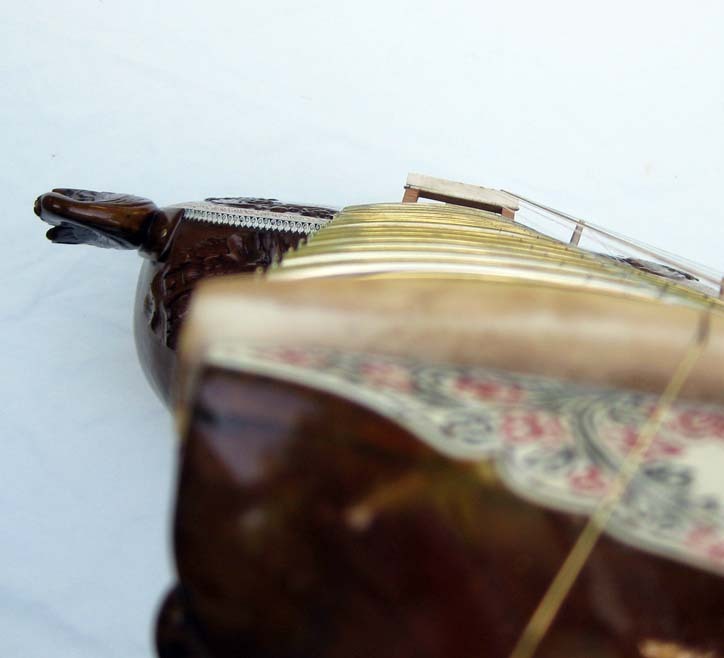 Letters of provenance from Hemen Sen are also included with this surbahar.